Supporter has 3" elastic waistband, soft knit polyester pouch and non-curl straps. No pocket. 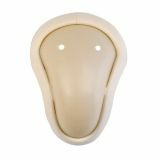 Cup only, adult, sturdy protective cup with soft comfort edge"
The supporter features a 2.5" waistband with a soft pouch, snap closure, and non-curl straps. The cup is made of hard contoured plastic with a cushioned edge for comfort, and two holes for ventilation. This large size set offers superior protection. To avoid painful injuries it's always a good idea to wear an athletic cup when playing sports. 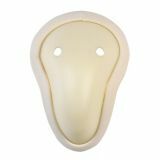 The Intermediate Protective Cup for younger players is made of hard contoured plastic, features cushioned edges for comfort, and holes for ventilation. The goal of an athletic supporter is to lift and support during vigorous athletic activity. 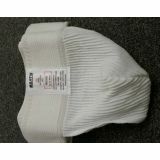 The Champion Sports Men's Athletic Supporters feature a 3" elastic waistband, non-curl straps, and a soft rayon pouch. The supporter features a 3" elastic waistband with a soft pouch, snap closure, and non-curl straps. The cup is made of hard contoured plastic with a cushioned edge for comfort, and two holes for ventilation. The set offers superior protection. To avoid painful injuries it's always a good idea to wear an athletic cup when playing sports. 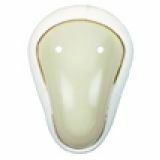 The Champion Sports Men's Protective Cup is made of hard contoured plastic, features cushioned edges for comfort, and holes for ventilation.